It is a truth universally acknowledged that a lash lover in possession of good sense must be in want of the best eyelash glue. You see, the eyelash glue you choose will determine your falsies fate. The glue can be the make it or break it point of whether you'll carry on happily or throw in the metaphorical towel. Yes, my dears. Your experience of wearing false eyelashes will change dramatically based on the type of lash glue you use, and we’re not just talking about not using the one that gives you a rash. Which brings us to the ultimate question of...what exactly is the best eyelash glue? And what features should you be looking for to choose the best one for you? Well, that’s a tricky question to answer, because a) there isn’t just one, and b) we all look for different things in a product like this. So let's get to the nitty gritty of all this lash glue business. Why Does Eyelash Glue Matter? When shopping for, or applying fake eyelashes, too many women focus all of their attention on the lashes, and not enough attention on the glue they are using. Big mistake. Because for most of us, not just any old lash glue will do, and especially not the tiny little tubes of mystery glue that come with the eyelash packet. The eyelash glue you use can make the difference between flawless application and looking like you’ve applied your makeup without a mirror. Ooops! There are actually a lot of different aspects to be mindful of when it comes to choosing the best lash glue, and ignoring these may mean that you are not getting the anywhere near the kind of results you can get with your lash application. And not getting perfect results is just the tip of the iceberg. A lot of mishaps can happen simply by using the wrong lash glue. Like what, you ask, what sort of issues can you face by not choosing the right lash glue for you? Okay, so let’s say you weren’t paying any attention and you just picked up some random lash glue that was on sale and thought “Close enough!”. What are the issues you may experience because you are using a product that is less than ideal? It may not be strong enough or last long enough, leading to your lashes coming off at the corners halfway through. We’ve all had our fair share of those unfortunate experiences. It may not be the appropriate product for the type of lashes you are using – strip lashes, individual lashes and lash extensions all have different types of glue and mixing or swapping them can create trouble, especially the professional one for extensions. It may be the wrong color for the look you are trying to create – if you are wearing lashes on bare lids, the black one will be much more obvious than a clear glue you might have chosen instead. You can have an allergic reaction or irritate your eyes, because of ingredients like formaldehyde or latex. You might discover it’s been tested on animals, when you only use organic, cruelty-free products. As you can see, the wrong choice can lead to a series of mishaps. So let's avoid all that, shall we? Here's a guide to the best eyelash glue choices for every lash need there is! What Is The Best Lash Glue? Your ideal lash glue depends on a few different factors: whether you prefer something natural/latex free/paraben free, whether you want it to be clear or black, if you want it to be waterproof or washable, if your eyes are sensitive, if you’re using individual lashes or strip lashes, or even eyelash extensions. Each and every one of these needs requires a different kind of product, so here’s a handy guide to finding the best eyelash glue for every need. ​This is the type of eyelash glue that dries black, and it’s preferred by people who like to disguise the lashes as well as possible. They’re usually paired with black eyeliner or a lot of mascara, for a seamless look. Especially if you tightline (apply eyeliner on the upper waterline and in between your lashes), your look will be perfect. Offers a seamless look with eyeliner styles and for people with dark lashes. 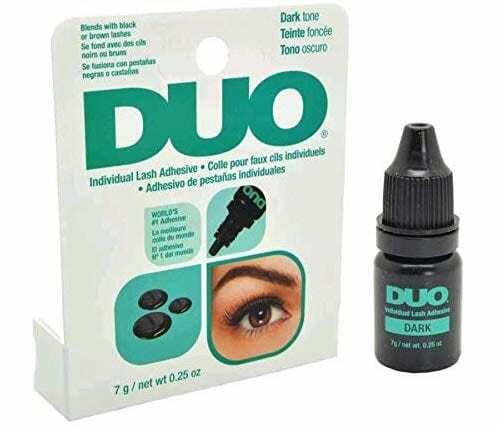 Can use instead of eyeliner - a two for one product. Mistakes and over-application are much more obvious than with clear glue. Plus, it’s not the best for application on bare skin, especially with blonde lashes. You want to look for a glue that dries as dark as possible, and preferably, matte. If the glue dries shiny or glossy, that’s going to give your secret away and ruin the illusion. Stay away from glues that say that are black, but dry down to a dark grey, that just ends up looking sloppy. What's the best black eyelash glue? 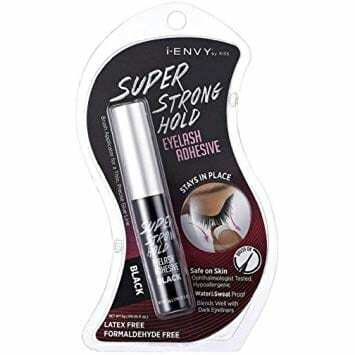 There are tons of choices out there but our current favorite is i-Envy's Super Strong Hold Eyelash Adhesive. 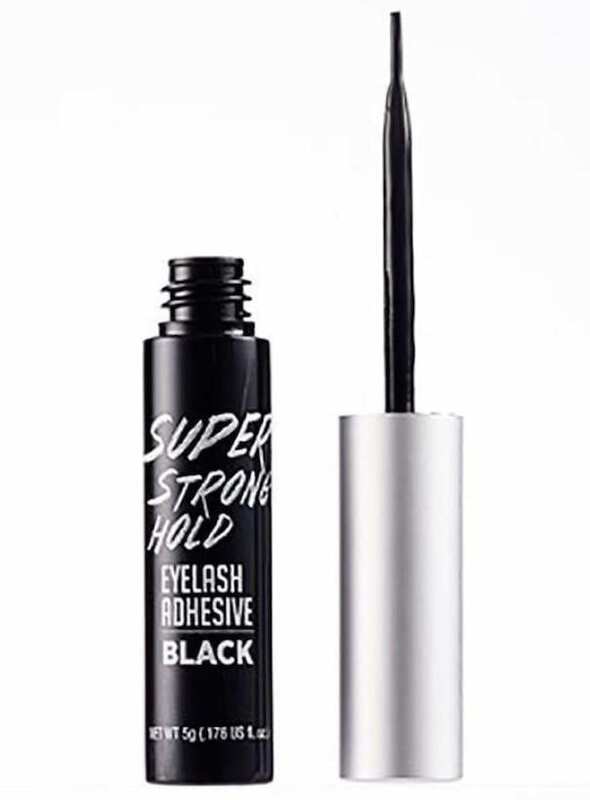 The hold is really strong - definitely strong enough to last all day - and the product easily double as a flawless eyeliner. What is clear eyelash glue? Like it says in the title, clear lash glue is simply eyelash glue that dries down clear. 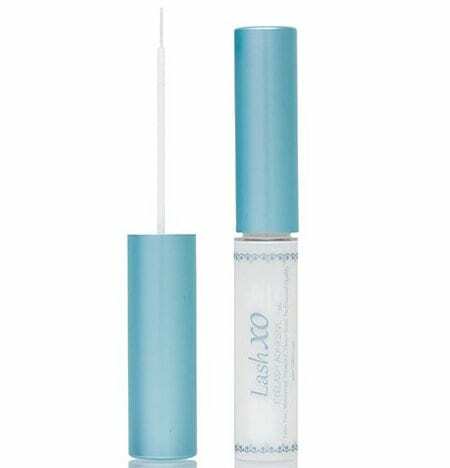 Most types of lash glue start out white when you squeeze them out of the tube, while they get tacky, and when you apply them to the lash. After a while, though, the glue should start going transparent as it dries, hopefully hiding any mistakes you might have made during application. This is especially good for beginners. What to look for in a clear eyelash glue? ​You want a glue that has a quick drying time, because no one wants to be sitting there waving the lashes around for hours until they get tacky and then check their eyes every two minutes until the lash glue becomes unnoticeable. Like the black one, try to find out that isn’t overly shiny. And of course, a good clear eyelash glue should go on clear - there are ones that dry to a slightly white or even blue and those aren't so forgiving of mistakes. Not as messy when you apply too much glue or when you don’t get it quite right. Tends to be shinier and it can disrupt a look more compared to the black glue. What's the best clear eyelash glue? There are a lot of lash glues that promise to dry clear but don't become totally transparent. Not so with the Muselash Eyelash Adhesive. This stuff dries in 30 seconds and it dries to a perfect, see-through, invisible clear. Plus, it's got a serious hold that will last you all day. ​Waterproof eyelash glue is glue that doesn’t come off as easily, and is for those women who want their makeup look to be well and truly bulletproof. Perhaps you are expecting rain, sweat, or even a dive in the pool. Hey, maybe you’re getting married and tend to get emotional – either way, you can rest assured that you won’t lose your lashes halfway through. What to look for in a waterproof eyelash glue? ​Obviously, what’s really important here is staying power. This thing better be like cement, so anything that’s extra-strength is great. You’ll also want to take a look at the ingredients and avoid latex as much as possible. You don’t have to worry about losing your eyelashes, not even in water. It can be a bit difficult to remove and it usually contains latex. What's the best waterproof eyelash glue? 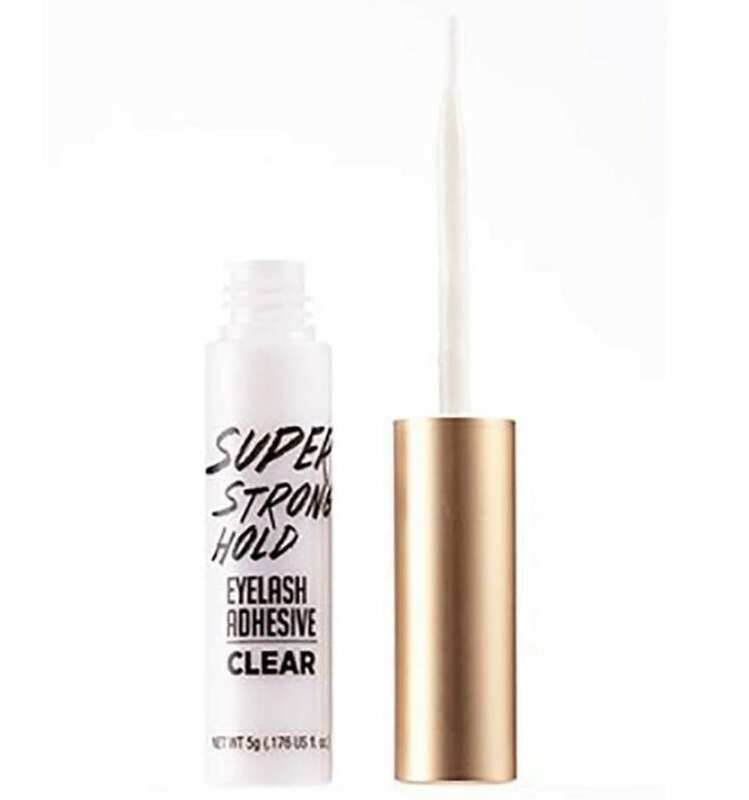 This Super Strong Hold lash glue isn't messing around - this water and sweat proof eyelash glue goes on clear, dries quickly and then stays on no matter what kind of day you're having. ​There’s been a real push towards more and more natural products lately, especially ones that we put near our eyes. Natural eyelash glue is possible and it’s out there on the market, you just have to find it! They’re latex-free, paraben-free, formaldehyde-free, and usually scent-free and vegan, so there are minimal irritants to worry about. What to look for in a natural eyelash glue? ​As we mentioned, if it says “latex-free”, “formaldehyde-free”, etc. that’s a good sign. If it’s labelled “organic”, that can also be good, but it can also be misleading, so double-check the ingredients. Currently, the most well-known such glue is produced by True Glue. It doesn’t irritate your eyes, there are no yucky ingredients, and it’s hopefully cruelty-free. Unfortunately, natural lash glue can still be difficult to find, but hopefully, that is changing. What's the best natural eyelash glue? This is probably our favorite natural lash glue on the market at the moment. It's a newcomer but already top of its game with its latex-free, formaldehyde-free, paraben-free, phthalate-free, and even cruelty-free vegan formula. 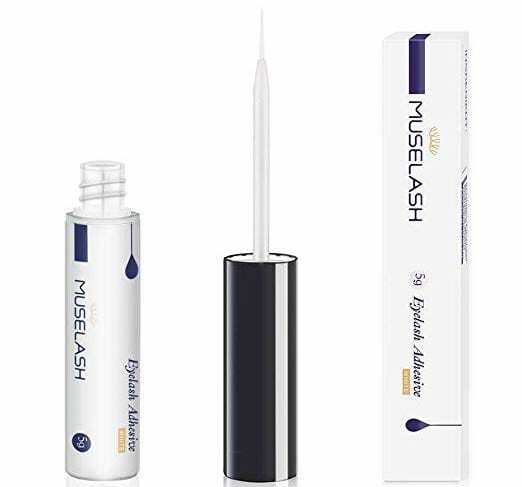 It also has Vitamin E added to the formula to help keep your lash line nourished - a definite plus! And if you're thinking the price tag is a bit high, keep in mind that this comes with 2 tubes. 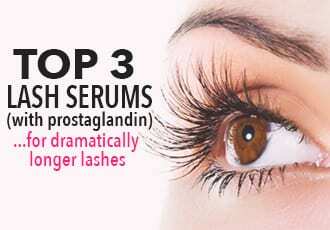 What is lash glue for sensitive eyes? ​If you have sensitive eyes, you’re not wondering about it – you know. Most things – especially scented products – irritate, itch, sting, or otherwise hurt your eyes and make them red and angry. It may be artificial scent or other ingredients – latex and formaldehyde, anyone? This is especially an issue with eyelash extension glues (particularly the super strong ones) because they give off strong fumes that irritate your eyes big time. 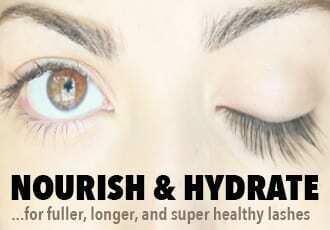 That’s why you need a milder eyelash glue that is especially formulated for sensitive eyes. What to look for in a lash glue for sensitive eyes? ​Anything labelled “sensitive” should hopefully be safe for you, but you need to check the ingredients, either way. The natural glue we talked about earlier would actually be great for sensitive eyes, because there are minimal irritants. It doesn’t hurt your eyes, so they’re not itchy, red, and swollen, yay! It can be hard to find, and plus, it can be less effective than its non-sensitive counterpart: what makes it mild is that it has less of the active ingredients that makes it sticky, but also gives off those irritating fumes. What's the best lash glue for sensitive eyes? If you're eyes seem to be irritated no matter how gentle of an eyelash glue you use - you need to try Cardani Secure Hold. 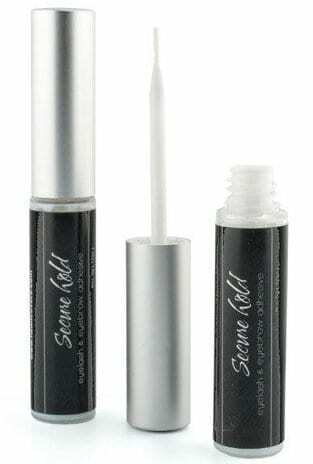 This gluten-free, sulfate-free, BPA-free, formaldehyde-free, latex-free formula is hands down the best lash glue for sensitive eyes you'll find. Even better? It's also cruelty-free and vegan. Plus, it lives up to its promises to securely hold those lashes in place all day (and even through the night if need be)! ​While individual lashes are sold right next to strip lashes and you’d think they’re sort of the same, they’re not, really. You see, cluster lashes like this require a stronger glue than strips, which lasts longer. 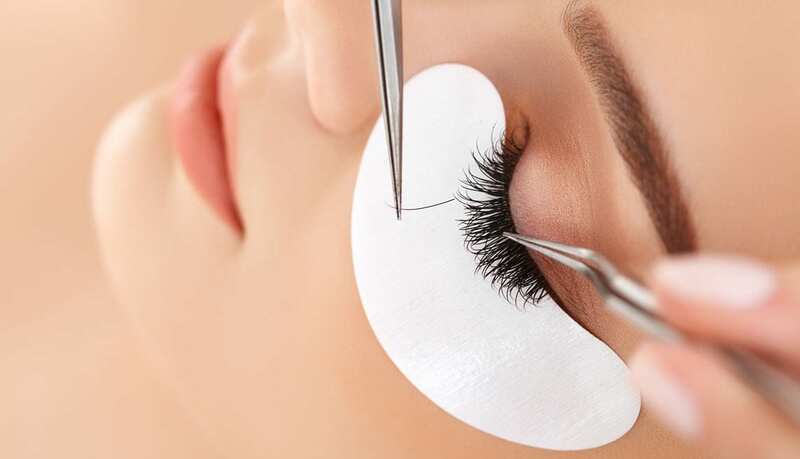 Strip lashes are made to be worn for a few hours and then taken off at the end of the night, but individual lashes are put on with semi-permanent glue, which is made to last for several days. What to look for in a individual lash glue? You’ll want to look for a glue that’s especially formulated for individual lashes - and that often means a stronger bonding glue, which means you'll do best with semi-permanent options. While you can put them on with regular lash glue, they won’t look as good or last as well, because they’re not really meant to be used that way. The downside to using semi-permanent, stronger glue is that it can be more challenging to take off so you can't just pull the fake lashes off your lash line like you can with strip lashes. Well, you can but you'd end up losing some of your natural lashes along with them. That's why when you opt for individual lashes, we strongly recommend you also get yourself a lash glue remover so you can safely remove the glue when it's time. The semi-permanent glue allows the individual lashes to last longer on the eyes, giving a fluttery look for several days. Individual lash glue is less common than regular lash glue, so it can be more difficult to find, and the selection is less varied. What's the best individual lash glue? DUO rules the lash glue market in many categories and while we're not the hugest fan of all their glues, when it comes to the best individual lash glue, they're hands down the best. Their individual lash adhesive is nice and dark so your individual lashes blend flawlessly with your own and they last all day - even days if need be. What is eyelash extension glue? ​Now, lash extension glue is a whole different ball game. You see, it’s different than regular lash glue and the two cannot be swapped. Eyelash extension glue is much stronger and permanent. 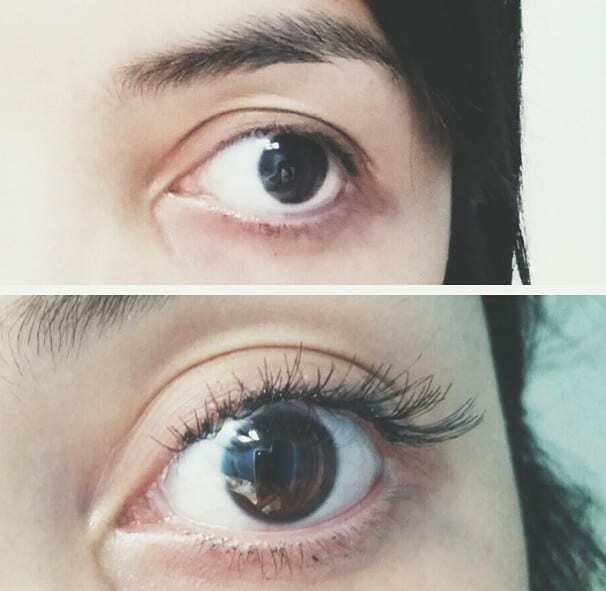 It lasts the full 4 weeks it takes for the natural lashes to fall out (and even longer). 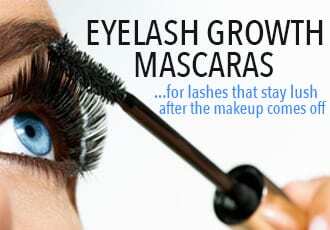 It also contains much stronger ingredients, so it can be more irritating for the eyes than regular false lash glue is. Eyelash extension glue should only ever be used by trained, professional eyelash technicians, and it should not be used at home under any circumstances, not even on professional extensions. ​For a professional technician, you want to look for a type of glue that has a setting time appropriate for your skills and speed – fast setting if you work fast and a slower drying time if you’re a beginner and apply the lashes more slowly. In addition, it will ideally be a glue that has staying power, but the fumes are less intense than they are with typical glues. They are strong, long-lasting, permanent glues that are able to sustain Classic and Volume extension styles for 4 to 6 weeks. The fumes on the strong glues can be quite irritating for the eyes, and the glue you need to use differs based on the varying skill level of the technician. What's the best lash extension glue? If you've been doing professional lash extensions for any amount of time, you've probably been through a number of glues all claiming to be the best lash extension glue. And you're still searching. Well, your hunt just might be over. Revelation's Signature Eyelash Extension Glue dries fast and stays on darn well, making this the perfect lash extension glue if you're looking for something that keeps retention rates high. The only downside is that this is not a low fume glue but the plus side is that while it holds individual lashes in place like a dream, it also doesn't damage the natural lashes. As you can see, there is way more to lash glue than you thought. There are things to look out for, depending on your needs and preferences. But what if you really want some simplicity in this complex world we live in and you're asking - what is the best overall lash glue you can use for falsies? And you mean the best of the best - the eyelash glue to end all eyelash glues. As you can see from above, we don't believe there is one “best” eyelash glue and only the best glue for YOU, but if we were exiled to a desert island and only allowed to take one eyelash glue for falsies - there is a certain one we'd choose. We'd choose an eyelash glue that encompasses all the most desirable qualities an eyelash glue should have: long-lasting, non-irritating, and hopefully lacking in formaldehyde, in the most versatile color, which for us is clear. In addition, we'd also go for one that is brush-on, because it’s much easier to apply and you can control the amount better than you can when you squeeze it directly out of the tube. So which eyelash glue would that be? Ladies (and gentleman), the best eyelash glue for falsies that we'd pick is Cardani's Secure Hold. Sure, there are a lot of lash glue options out there but you'd have difficulty finding one that's better formulated, better quality, lacking in any undesirable ingredients and stays on all day (and night). If you have to pick just one - let this be it!